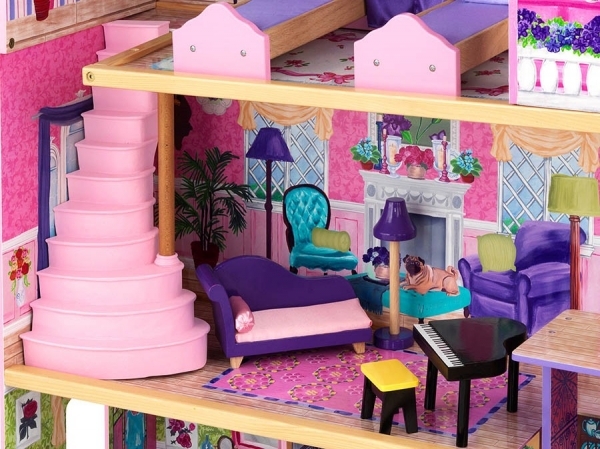 Doll is every girl, and probably every little girl wants to have and toy furniture. However, really high-quality kit is not cheap. And for some non-standard dolls to find furniture in the stores is simply impossible. 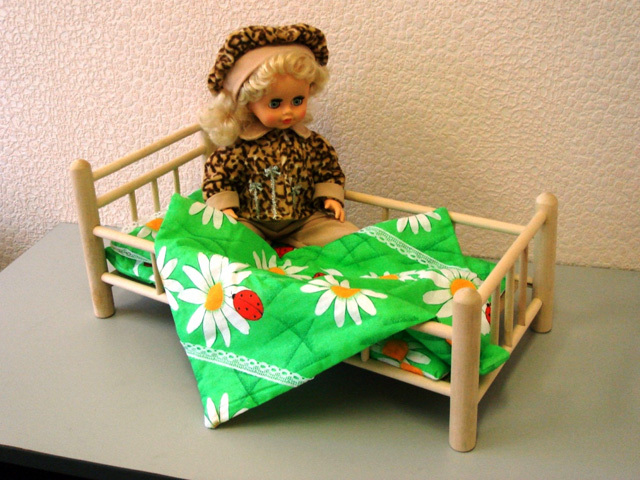 In this regard, many have a question on how to make a bed for the doll yourself. The first option is standard. The easiest option how to make a bed for the doll is to stock a small dosochki, all carefully measured, and then glue. The boards should be of minimum thickness. In addition, it is very important that made so toy a bed you could paint. If the bed is not painted or varnished, the child can get a splinter on her finger. As for paint, it is necessary that it was water resistant. The second option is for the needle. Bed for dolls also and link. In this case you require the foam to be "filling" beds and bright threads for knitting. 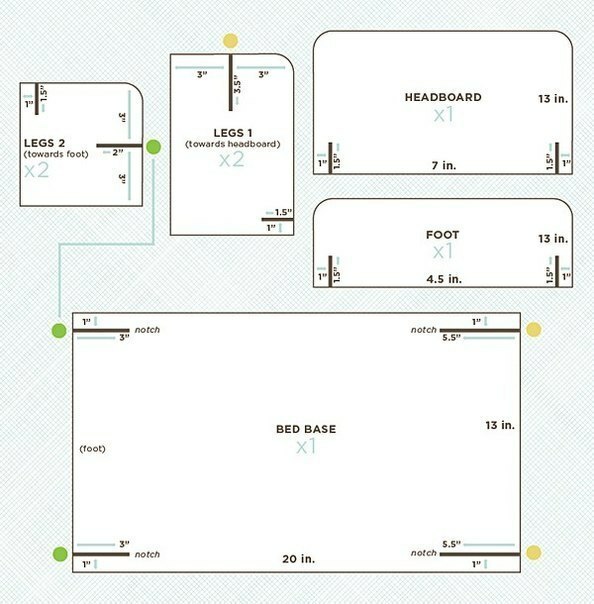 After measuring and do not forget that a bed for the doll needs to be big. Start to knit. 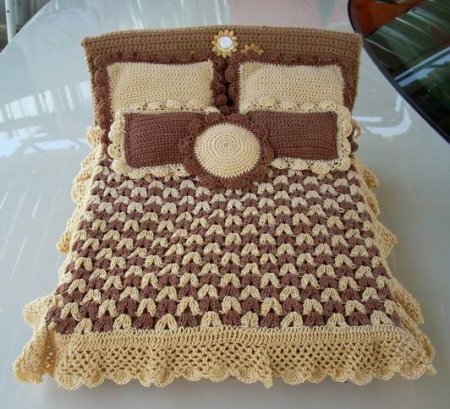 Once the product is ready, you can also optionally bind a small blanket, pillows and so on. The obvious advantage of this your bed – baby can't hurt himself playing with her. The third option is practical. Your home surely there is a match, and it means that matchbox. Gather up their required quantity, just glue this material for a bed for the doll. Eventually the bed will be not absolutely usual, and with drawers where you can put all the dollscovered things. Subsequently, the bed of the box can be papered with bright tape. Don't forget that kids love bright colors, so making the bed, choose colorful materials. Barbie doll is the most popular toy for girls around the world. Playing, girls imagine yourself in the place of mother, wife and housewife. A piece of furniture, made with their own hands makes playing with dolls a more informative and interesting. For making beds for Barbie doll you will need: corrugated cardboard, simple paper templates, scissors, paper glue, wire, scissors, tape, glue "Moment" or another strong glue, fabric for the wrapping of the bed. First make a paper template of the headboard and the bed. The backrest can be in the form of a semicircle. To do this, cut a round piece of paper and cut it in half. Next, make a template of where to sleep doll. It needs to be a rectangle. If you make a narrow single bed, its dimensions may be as follows: width 14 cm, length 34 cm low headboard - 8 cm, high 10 cm Width of the backrest should be equal to the width of the bed. In this case, 14 see, In principle, the dimensions can be any. Attach the corrugated carton details of bed and cut. The bed can consist of 7 rectangles, and the number of backs can be 6. The more parts you cut, the stronger will be the bed. Stitching details in two pieces. It is desirable to use a strong glue "Moment". Glue 4 layers of the bed of the bed and put to dry for a few hours. 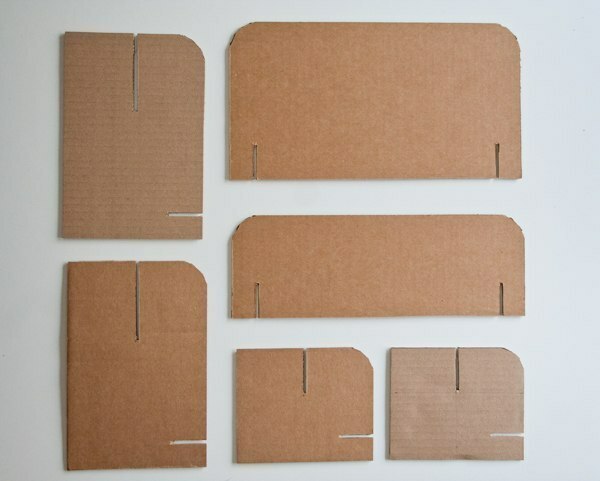 At this time, cut wire: 4 pieces of 50 cm Put the 4 wire on cardboard glued together: between them is a distance of approximately 2 cm to ensure that the wire does not move, secure it with tape. Pour the cardboard with wire glue and attach on top of the remaining cardboard. In order for the rectangles firmly stuck together, put them under the press. While the box dries, glue the headboard. One back should get three pieces. Also place them under the press. When items are dry, attach the backrest to the wire and mark the point of contact. Then puncture these points with an awl or nail. Thread the wire into the holes. At the junction of the bed and back liberally lubricate the glue. On the reverse side of the back of the tie wire together, and the remaining part of the cut. Glue the backs on one layer of the cardboard so the wire was not visible. The bed is ready! You can paste over it with colored paper, painted or covered with fabric. 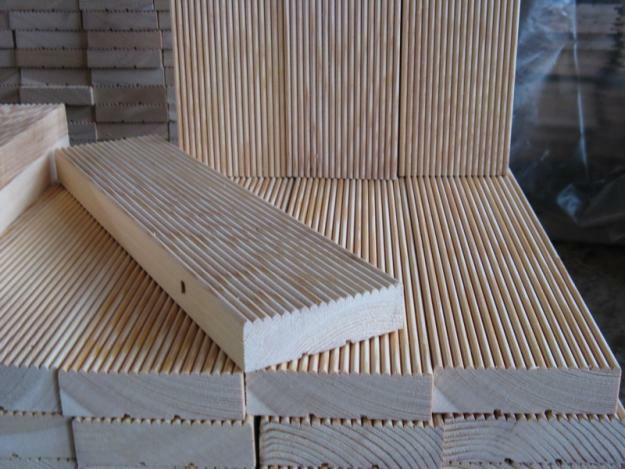 For the manufacture of beds of materials such as foam rubber or foam, you also need to cut out the bed and headboard. Make arbitrary sizes. Just keep in mind that the length of the bed should be at least 1 cm greater than the length of the doll. To bond the back box, use wire. You can easily pierce it through the material as it is soft. Not to glue a few pieces of foam, take it from a thick piece. Plus foam rubber and foam that is very lightweight materials. Therefore, the bed will be almost weightless. The lack of foam: after pruning it can start to crumble. You will need to fit a bed cloth. Regardless of what material the bed is made, it is easy to come up with original decorations. For example, you can glue the flowers on the headboard. Cut out the usual daisies and place them in the center. Jewelry paper will keep on ordinary stationery glue. If you have old magazines, cut them in beautiful applique on any topic and stick to the headboard. On the edge of the backrest you can put a nice braid, put it on the glue.